For quality professional Painters Decorators North London, get a free estimate for your house, office, restaurant, hotel – discover the brighter look! 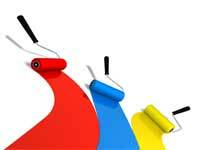 We will help you with our professional advice for choosing the colours and design. Should you require any of the following services or free quotation, we will be happy to hear from you. Do not hesitate to contact our company now for a free quote and more information on 020 8363 8072!